If I’m honest I wasn’t expecting great things from the Sydney Zoo. After coming out of Madame Tusards and being extremely disappointed by everything about it, I didn’t have high hopes for the next attraction. But this turned out to be such a great day out. There was so much to see so I would recommend spending a few hours here to see everything. Kangaroos, wallaby, wombats, Tasmanian devils, flying squirrels, a cassowary, lizards, marsupials, birds, even a 6 meter saltwater crocodile. There are talks on throughout the day which of course I wanted to go to all of them and so that is what I did. The staff must have thought I was crazy, going back and forward between all the animals for about 4 hours. There are lots of animal encounters as well, photos with koalas, feeding birds, holding a snake, watching staff train the animals. You are able to walk into the kangaroo enclosure which is fab for photos and it is also home to heaps of bird species all flying around your head. Here the staff did a talk about a few of the animals living in there, bringing the echidna up to the stage to eat some of his favourite food! 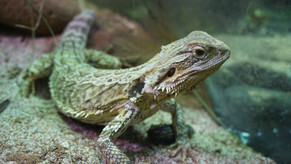 There were some really amazing animals including some seriously cool reptiles and marsupials. There were bilbies, pademelons, snakes and lizards, a nocturnal exhibit with bats and possums and dunnarts and many more weird and wonderful creatures. 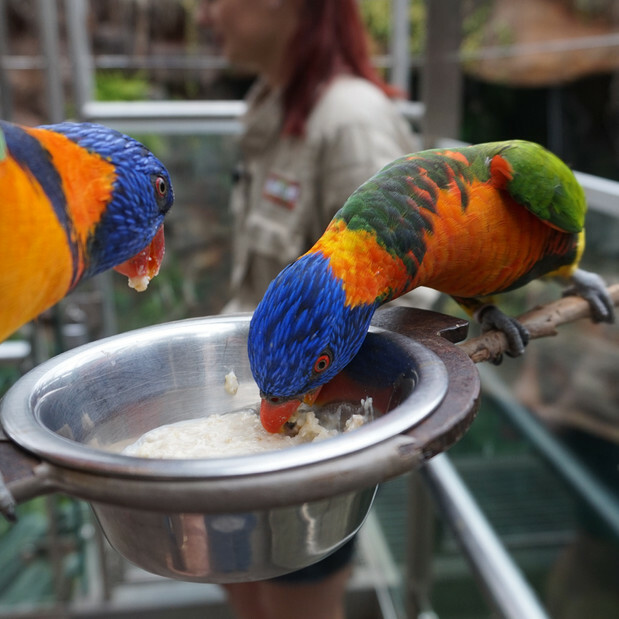 Now, you’re are probably thinking that birds are the most boring thing you could see in a zoo but that is where you’d be wrong! ​ This was probably the highlight of the ​day of me. Feeding is at 12pm so get there on time as it only lasts for about 10 minutes before all the food has been gobbled up. It was so much fun to hold the food and have the birds landing on not only the food but also on you, I had one sitting on my head while it waited for a chance to eat. 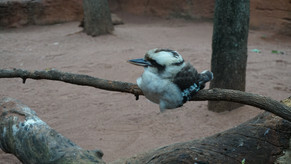 You get incredibly close to these animals and as you can see they are beautiful birds so don’t miss out. The koalas are one of the last animals you see and the talk about them was so interesting. 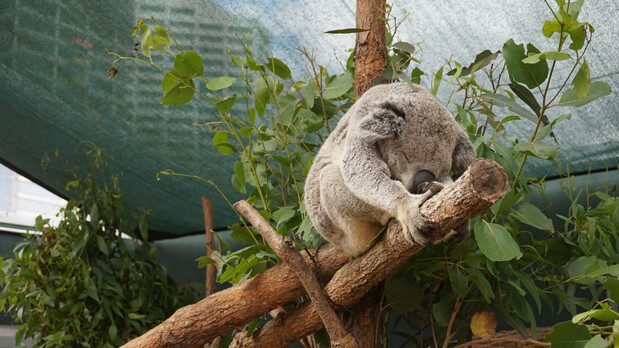 Did you know koalas have to sleep up to 22 hours a day just to digest their food and it takes so much energy because it is actually poisonous to them? Yeah, I know, why would you eat it if you can’t do anything else? And although there are hundreds of species of eucalyptus trees, koalas will only eat from 2 or 3 species and this preference differs between each koala. So although they will most likely be sleeping when you see them they are still fascinating to see up close.